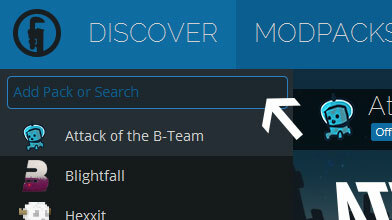 Type in the modpack name (Modded Network Engineers 2.0) or paste the following url into the search box. Finally, click Install at the bottom right of the launcher after you select Modded Network Engineers 2.0 from the list on the left. The launcher will handle everything else! This library mod includes an API for easy addition and integration with AE2's complex API and allows for automatic addition of infinite range-capable wireless terminals. It also has Baubles support built in. All packet handling for the Infinity Booster Cards is handled internally (including baubles syncing!). About This mod is a small addon mod for 1.1x versions of Avaritia, which adds a few unique features that are not in the base mod. Everything in this mod are configurable via config. It is intended for modpack makers to customize their desired features. See below to see all the features this mod currently provides! Classic Combat is very simple - it removes the cooldown from all weapons in the game, so you'll always hit for the attack value of the weapon you're using just like Minecraft before the Combat Update. Minecraft memory usage optimization mod. This mod is for moddednetwork offical packs only! it's design to add more recipe to avaritia mod. OpenBlocks introduces a range of random ideas into Minecraft. There is no theme. Really. We are just putting everything we want. 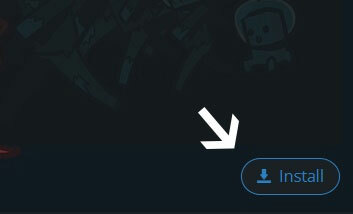 This is required for all of our mods. Enjoy additional peripherals for Computercraft, ranging from analyzers to nano swarmz. Plethora is a ComputerCraft peripheral provider for Minecraft 1.8.9+. It aims to provide both metadata and peripherals for vanilla Minecraft and most mainstream mods. Plethora also adds a series of "modules" to the game. These modules can be used by the player with varying success. They really come in to their element when put in a manipulator, providing a series of methods which allow interacting with your environment. Currently, RandomPatches just increases the hardcoded read and login timeouts so slower computers can connect to servers. However, if I want to patch anything else, I'll add it to this mod. This mod is a small addon to Ender IO and ThermalExpansion (more mods to come). It adds jetpacks that can be used to fly and so called Fluxpacks which can be used to charge things in your inventory on the go. The jetpacks and Fluxpacks are powered by RF and are fully compatible with Forge's energy system. (probably Tesla, too, in the future). "The Framework" is a fork of the Collective Framework by austinv11, maintained mostly because it is required by PeripheralsPlusOne. The One Probe (or TOP in short) is a more immersive version of WAILA. You don't get to see the information tooltip all the time but only when you have the probe in your hand (note that this mod can be configured to show the information all the time just like WAILA). A mod to help mine veins of ores by mining blocks of the same type in a chain reaction, giving you the blocks at the end. We have all been there in Minecraft - building the mob farm. They all come down to the same thing. Spawn the mobs Kill the mobs Collect the XP and loot Deal with a ton on entities being spawned Woot does things a bit differently ..... it doesn't spawn any mobs in the world .... WHAT?! In Woot you build your factory then program it with the mob of your choice. Then you give it some power and an inventory to put all the loot into that the mob would have generated. There are multiple tiers of factory to handle higher tier mobs. So yes, you need the big factory to spawn the Wither! To make life a bit easier, there is a layout block to show you where you need to put all the blocks in each tiers multiblock. Join our discord for a changelog of each modpack update information!